We get it, you need coffee to start your day. To get moving, to work, to finish tasks, to meet deadlines, to work out, to have the enthusiasm to attend weekly meetings, and so on. You need it so much your body begins to depend on your daily dose of caffeine. Without it, you can’t imagine how you’ll have the energy and the motivation to last the day. But alas, with coffee shops everywhere, you’re never short of your caffeine supply. You take it each time you feel you need it or want it. So, you make it worse by consuming caffeine way more than you’re supposed to. Coffee, of course, isn’t water. You can drink too much of it, but that can be detrimental for your health. Unfortunately, your love affair with caffeine is not without repercussions. Studies show that consuming excessive caffeine can cause anything from agitation to muscle tremors. But how much is too much? Research signifies that 500-600 mgs of caffeine daily is already beyond the safe limit. That’s over 5 cups of coffee. You hear things that aren’t there. A research performed in the University of Melbourne states that coffee is typically utilized as a psychoactive drug. Hence, drinking more than 5 cups can lead you to hear things that aren’t really there. If you’re a prolific coffee drinker and you always wonder if you heard something or not, that may be the excessive caffeine talking. Moderate consumption of coffee helps the liver in terms of detoxification, but too much of it does the opposite. As a matter of fact, going 5 or more cups of coffee daily can disrupt your liver from doing its job. Drinking coffee causes palpitations. Imagine what high dosage of caffeine can do to your heart. It actually stimulates your cardiovascular system and leads to shallow breathing, causing you to feel you’re catching your breath. While moderate amounts of caffeine can help improve your mental alertness, too much of it can lead you to become prickly and more likely to make mistakes. This is because the shallowness of your breathing as a result of excessive caffeine can interfere with the flow of oxygen to the brain. When this happens, your ability to make logical decisions suffers. This depends on how well you can tolerate caffeine in your system. Basically, coffee has a six-hour half life, which means it takes 24 hours to work its way through the system, averagely. Hence, drinking coffee near bedtime is not a good idea. Plus, studies also determine that caffeine decreases essential REM sleep period. 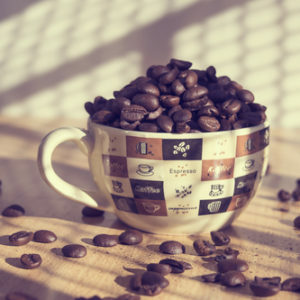 Interestingly, it’s been found that caffeine only delivers that notable surge of energy and sharpness of the mental faculty because it helps you recover from caffeine withdrawal symptoms in the first place. 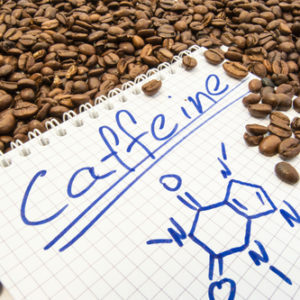 In the study, it was found that without caffeine withdrawal, there wouldn’t be physical and mental improvement that’s contributed to caffeine intake. Fundamentally, eliminating coffee decreases your mental performance. It also makes you feel down and the only way to reverse these effects is to consume caffeine. When you finally drink coffee, you feel super great again. This cycle goes on, thus, addictive. This is based on a study conducted at the Oregon State University. To make sure your bones are healthy, be sure you’re getting sufficient vitamin D and calcium while enjoying being a coffee lover. It’s natural for you to experience a headache when you’re having caffeine withdrawal. But aside from this physical aspect, it’s also been shown that withdrawing from caffeine can also cause depression. As said earlier, not drinking coffee causes your mood to shift from positive to negative. When the mood is involved, there’s always the possibility of depression.